Dr. Anthony Passerini published a high-impact article in American Journal of Physiology Heart and Circulatory Physiology. The article, reflecting Passerini Lab’s collaboration with Simon Lab, elucidates the inflammatory potential of dietary lipids. To read or save a PDF copy of the article, click here. –Wang YI, Schulze J, Raymond N, Tomita T, Tam K, Simon SI, Passerini AG. Endothelial inflammation correlates with subject triglycerides and waist size following a high fat meal. Am J Physiol Heart Circ Physiol. 2010 Dec 17. PMID: 21169396. 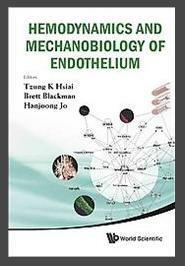 Also published was a book chapter in the recently released Hemodynamics and Mechanobiology of Endothelium, which includes content from many leaders in the field. —Passerini AG. Genomic approaches to endothelial cell phenotyping. In Hsiai TK, Blackman B, Jo H, (Eds. ), Hemodynamics and Mechanobiology of Endothelium (pp. 179-211). World Scientific Publishing Co., 2010.